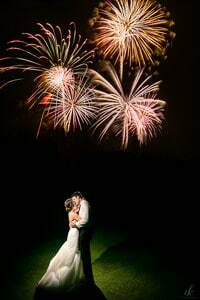 As a photography educator who is also primarily a wedding photographer, one of the most common questions I'm asked is, “What wedding photography tips do you have for those of us who are just starting out with weddings?” There are some great articles floating around the internet on this very subject, including one by our very own Jim Harmer, but I'd like to take some time to piece together some of my own wedding photography tips for all of my followers out there. So, without further adieu, here are my top wedding photography tips for all of you who are just starting out in the wonderful world of wedding photography. You don't necessarily need a degree in photography. What you absolutely need is a knowledge of photography and business. You can never have too much of it. Continue learning, experimenting, and growing, even when you think you know it all. Take online courses regularly and supplement that knowledge with as many in-person workshops or training sessions as your calendar and bank account allow. Keep tabs on Creative Live. And Improve Photography, duh. Go back and relearn the basics every once in awhile. Lighting, posing, composition, etc. Find a mentor. I reached out to my dream Columbus photographer when I was first starting out to ask about a mentorship. He took me under his wing and taught me almost everything I know about lighting. I don't know where I would be today without him. Look into your local Small Business Development Center. Many offer free business courses and workshops that will teach you about running a successful business. Don't be scattered. Find a photography niche and stick to it. Make sure your branding will speak to your target client. Don't have hot pink branding with bumble bees if you want to photograph high end weddings in the city. Make sure your branding fits you and your style. Don't force something that doesn't feel natural to you. YOU are the most important part of your brand. Don't skimp on the branding budget. You may use Photoshop for editing, but that does not necessarily mean you're a graphic designer. If you want to be perceived as a legit business, make sure you invest the appropriate amount of time and money into your logo, marketing materials, website, etc. Keep your branding consistent. Make sure all of your logos, marketing materials, website, etc. are using the same color palette, fonts, etc. There's more to branding than what people can see. Branding is also how you portray yourself, how you talk, what you wear, how you treat people, etc. Don't forget that when meeting with potential clients. Be legit. Register your business and make yourself the CEO. How awesome does that sound?! Consider registering as an LLC so that you can distinguish yourself from your business should a lawsuit happen. Consider creating a business plan. This will help guide you throughout the startup phase of your business. Don't rush into it. Take the time to develop your business slowly so that you don't skip over the important steps of entrepreneurship. If you're making money, make sure you're doing it legally. Pay taxes (even if you hate it). Insurance is a must. Get an insurance policy that covers your equipment, yourself, and any mistakes you may make/accidents you may have. Put customer service above everything else. You might be the best photographer ever, but if you don't know how to deal with clients, your business will fail. Be great to your customers and they will (almost) always love their images, love you, and love your business. Great customer service is the backbone of a great business. Be organized. Implementing a good workflow system and organizational system will save you so many headaches in the long run. Consider Quickbooks for bookkeeping. Your accountant will love you so much. Consider 17 Hats for business management and client communication. You will love yourself so much. Put together a solid marketing plan. Consider social media ads, wedding websites such as The Knot, symbiotic relationships with vendors, bridal shows, and more. Stress the value of a pre-booking meeting. Always meet in person before booking to make sure your personalities mesh well. Don't lie. Never, ever lie to get a gig. Stay true to yourself, your abilities, and your clients. Do sell yourself. Brag about yourself a bit. The booking process is an interview, so don't be afraid to discuss your strengths and accomplishments. Be a real human. Engage in small talk. LISTEN to them. Show them that you're interested in more than just their money. Find a connection and nurture it. Do you have similar backgrounds? Did you go to the same school? Do you have similar hobbies? Talk about that. (My own unsophisticated) research shows that developing a connection from the beginning results in more bookings, greater client satisfaction, and more referrals. Show them your work. Not just a handful of your best images, but a full wedding gallery. Let them know immediately what they can expect from you so that there are no surprises down the road. Show them pretty things. Have a beautiful pricing guide and stunning samples to show them during the meeting. Also consider wooing them with some pretty desserts or cocktails during the meeting. Educate them. Give them all of the details about your services, your contract, your style, your workflow, etc. And, educate them more. They should walk away from you with a better understanding of the value of good photography, good connections, and good products. Be involved in your clients' planning processes. Help them create their timeline, choose their photo locations for their engagement photos and wedding photos, etc. The more involved you are, the easier it will be for you on the wedding day. Prepare in advance. The day before the wedding, make sure you have all of your batteries charged, lenses and cameras cleaned, memory cards cleared, and gear packed up. Have a solid game plan, but be flexible. Wedding days are bound to be chaotic and timelines delayed. Calmly roll with the punches, but work quickly to make up time. Don't be afraid to be a boss. You MUST be willing to take charge and give commands. Use your outdoor voice if necessary. Have backups of everything, especially camera bodies and memory cards. Never go to a wedding with only one camera or one memory card. Use a camera that allows you to shoot on dual memory cards. Protect yourself from lost or corrupt cards by shooting on two cards. Use off camera flash to set yourself apart. 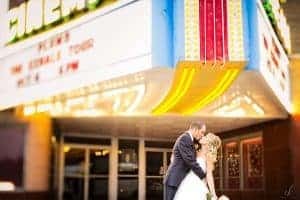 Creative lighting goes a long way in creating interesting, unique, and beautiful wedding photos. Invest in good equipment. You need gear that will work well in low-light situations. Invest in a good camera strap. Your back will thank me. Invest in good shoes. Your feet will thank me. Bring water and snacks. Your belly will thank me. Back up. Upload images immediately after the wedding to multiple locations. Never ever ever have to deal with lost wedding images. Save yourself some time and headaches by using Photomechanic and Lightroom. Only use Photoshop on photos that need extensive retouching. Find a processing style you like and use it consistently. Avoid processing each wedding differently as that can be confusing to clients. Calibrate your monitor. It's the easiest way to guarantee your images will look great on multiple devices and as printed products. Use a Wacom tablet for greater control and precision when retouching fine details. If you struggle with dedicating time to post-processing, consider creating a processing plan for yourself like this. This plan has really saved my life (and my sanity). 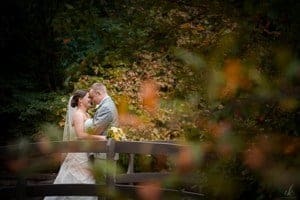 I decided to post this question in some of the wedding photography groups I am part of on social media to see what some of my fellow photographers had to say. Some of them are better worded reiterations of my tips above and others are things I didn't even think of, but here are some of my favorite wedding photography tips from fellow photographers around the world. What do you think? Do you have any wedding photography tips for new photographers that were not included here?